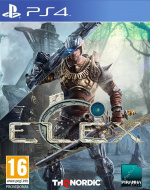 Wait, Open World, Sci-Fi Action RPG ELEX Is Out on PS4 Tomorrow? Wow, this one slipped under the radar, didn't it? 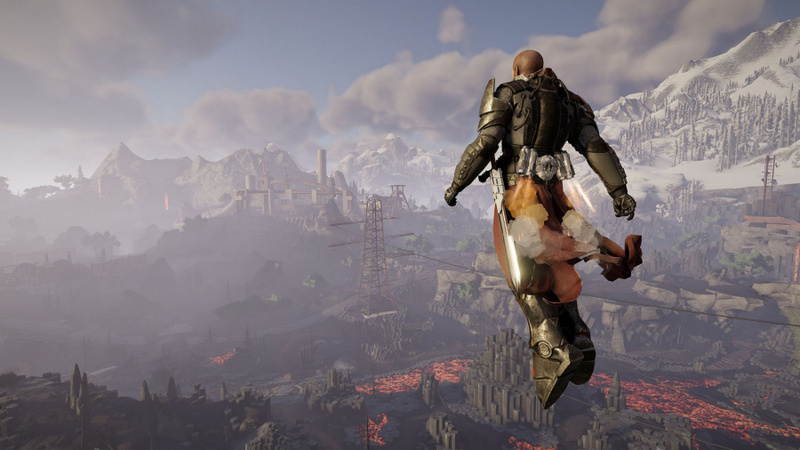 An ambitious project from the developer behind the rather crap Risen series [we actually heard reviewer Alex Stinton scream just then - Ed], ELEX was announced quite a while back, and we honestly forgot that it was out this month. And by this month, we mean tomorrow, the 17th October. Obviously, that means we don't have review code, and we have no idea whether other publications have got their hands on the game yet either. Still, we'll be keeping an eye on this one to see whether it delivers. Here's hoping that the finished product matches the vision. Are you interested in ELEX? Don't be afraid to admit that you completely forgot about it in the comments section below. Any game which apparently allows me to fly around via fart power is A-OK in my book. Oh my, I tried forcing myself to play risen on a number of occasions, unplayable. I honestly don't know how mid-tier studios manage to survive this generation. Between indie titles and actual AAA heavy-hitters, who really favours this type of effort? Must be real tough for the developers to even capture people's attention. I only came here to beg you never to start headlines with 'Wait" again. I can think of few internet writing-style trends more infuriating at the moment. The concept looks interesting, I will check for more details, but is it a good idea to release In October and on the same day of Gran Turismo and South Park? i can honestly say this didn't slip under my Radar! However, it was never on it in the first place!!! The combat in this game looks like something you'd see in an MMO or one of those boring Early Access survival games. Not very impressed. Maybe the story and characters can save it. @fchinaski My thoughts exactly as soon as read the article. PSLS gave this a 5/10. So it's off to a promising start. @Eternallover21 Not the only one but I can see it's an average game with major flows. I will get it eventually mind you. But I'll wait for the usual patches first. It will be on discount by Christmas. LOL, makes Destiny 2 look like Game of the Year. Can't believe people are still making this last gen stuff. Looks like The Technomancer 2. You're probably right about the eventual sale. But I'm going to support the developer on this one. Plus it's already discounted by preordering on the PS store. There's a giant robot fight tomorrow too. Like, real, actual Giant Robots are going to fight on October 17th and that completely seems to be flying under the radar. Team USA's "Eagle Prime" vs Team Japan's "Kuratas MK2". There must be something about this date that is just... letting news go undetected. I played through Bound By Flame twice so maybe this will seem okay. Not interested at all even if it was free on PS+ wouldn't download it. Never even heard of it. Part of me hopes it's crap, so I don't have to add it to the ever-growing list of games I want but haven't got time to play. @PaperyWhiteBoy Wait, you're infuriated by such paltry things? @JoeBlogs As a writer, yes. I can't help it. I'm aware there are far more important things in this world to concern myself with, but the infantilisation of language, along with the hyperbole rampant on the internet are things that distress me nonetheless. Still, kudos to Robert for trolling me in such good humour! @PaperyWhiteBoy As a proofreader and English teacher, various things annoy me too. The 'Wait,...' thing hadn't occurred to me though. @Bad-MuthaAdebisi Do not get me started with the Partridge quotes! I'm just saying this site's better than that, that's all, as are plenty of others who follow the same trends. Just my two pence. @PaperyWhiteBoy Fair enough, old boy. It doesn't bother me too much. After all, this is a video game website and not The Financial Times. I think this kind of slangy, conversational tone is ok, but that's just me. If it irks you, it irks you, though. I'm not saying you're wrong to be annoyed. I missed the risen series as Im not a big fan of pirate based games... (played assassins creed up to 3) so I do not know about them. However if anyone hasn't played Gothic I would advise it to anyone.